Government has suspended the purchase of vehicles for Ministers and Members of Parliaments to make sure that they fund towards the outbreak of cholera, newly appointed Finance and Economic Development minister Professor Mthuli Ncube has revealed. Addressing a joint press conference with different stakeholders within the business community and the health sector in the capital today, Ncube called on Zimbabweans to embrace crowd funding towards the cholera outbreak. “With the 15.7 million that the government has pledged towards the out break of cholera,we suspended things like purchase of vehicles for Ministers and Members of Parliament to make sure that we deal with this out break immediately. “Of cause there is still a gap,its a long term gap in the sense that we still need further investments within the sector so that there will be further resources from the public. “Crowd funding is not new,l just brought it to Zimbabwe remember after September 11 this was done of cause l am not trying to compare our selves with other governments but politicians in the United States use crowd funding to raise money from as little as a dollar to finance whatever they are doing. 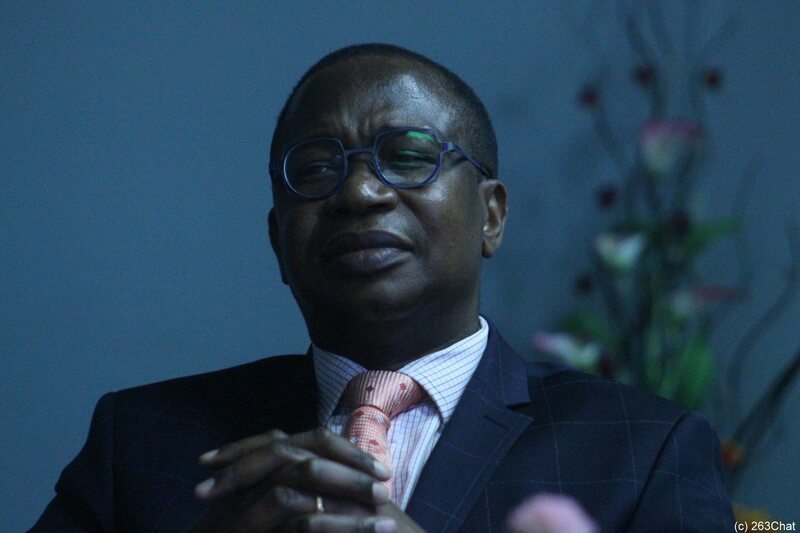 “This is normal in developed countries and this is what we are trying to do in Zimbabwe so that we match what the corporates are doing so this will be used going forward and its voluntary whereby no-one is being forced to do so,”said Ncube. He mentioned that their mid and long term interventions are the provision of adequate clean water by all water authorities, upgrading of water and sewer reticulation systems, addressing the problem of illegal and unserviced human settlements in urban areas and the procurement and installation of critical infrastructure surveillance by all Municipal Authorities. Meanwhile Ncube has rallied the diaspora, the private sector among others to provide both financial and non financial assistance towards the cholera outbreak. “The private sector, development and social partners,individuals including Zimbabweans in the diaspora are being called upon to provide both financial and non financial assistance towards responding to the cholera outbreak,”he said.